When it comes to borderlines, the Northwest’s King Estate Winery ignores them. Winemaking takes a pan-regional approach for the Kings as they seek out only the best grapes for their artisan-crafted wines that are also affordable enough to enjoy every day. This hunt for the best fruit that the Northwest has to offer has made state lines a mere suggestion for King Estate, a third-generation family farm established 25 years ago in the southern Willamette Valley of Oregon. Looking for that premium fruit has led King Estate to Washington and in particular to the Columbia Valley, which is renowned for high quality fruit and a unique terroir. These are the grapes destined for King Estate’s North by Northwest wines. Fruit driven and flavorful, the aromatic selections have balanced structure, the calling card of the best vineyards in the Horse Heaven Hills and Walla Walla areas. 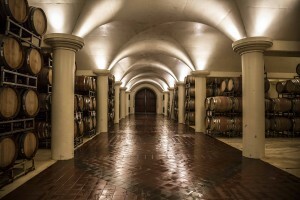 Ed King, co-founder and CEO of the winery, calls Washington a rising star on the global stage. 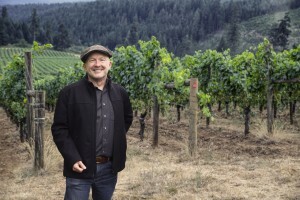 He looks to his wines as an opportunity to bring the unique experience and flavors of the Northwest to the world. Since King Estate’s first Washington harvest in 2005, the winery has embraced what the state has to offer for inclusion in its artisan-crafted wines made to be varietally true with minimal intervention. North by Northwest Chardonnay is aged using gentle oak. Riesling is kept in stainless steel tanks to retain the fruit characteristics of the vineyard. With these whites, the winemaker forgoes malolactic fermentation in order to preserve the bright flavors inherent in the fruit. Red wines are incubated in small fermenters, to keep lots separate, giving winemaking increased control through the blending process. 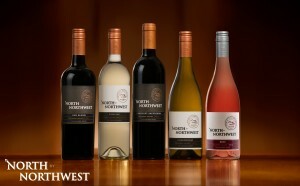 All this attention to detail allows the North by Northwest wines to retain a vivid sense of Columbia Valley terroir. In addition to the Chardonnay and Riesling, other North by Northwest selections include Cabernet Sauvignon, Red Blend and Rosé. Limited editions of Walla Walla Cabernet Sauvignon and Syrah are garnering critical acclaim and consumer demand. Come visit King Estate at the Seattle Wine and Food Experience on Sunday, February 21, to sample these wines that shine with creativity, newness and vibrant freshness.